Shared library – WebLogic Shared Library is an Enterprise Application Archive, a stand-alone EJB, a Web Application module, or a JAR file that is registered with Oracle WebLogic Server as a shared library. The library resources can be shared between multiple applications, alleviating the need to have duplicate copies of the resources in each application. 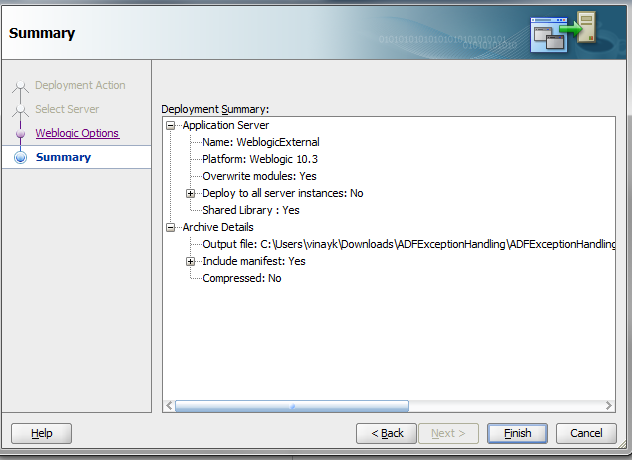 For an example, we can all dependency as shared libraries in weblogic. we are making custom taskflow and using it in webcenter portal application. We can deploy these adf taskflow as shared libraries and can reference in weblogic.xml for Portal application. 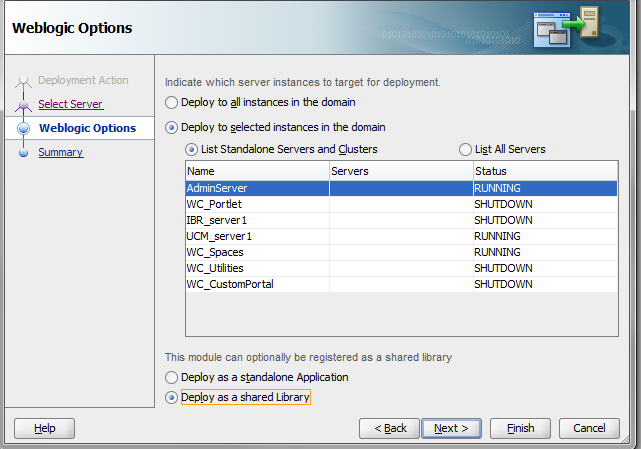 – Deploy adf app as jar and then deploy as shared library or wrap jar into war profile and deploy as shared library. 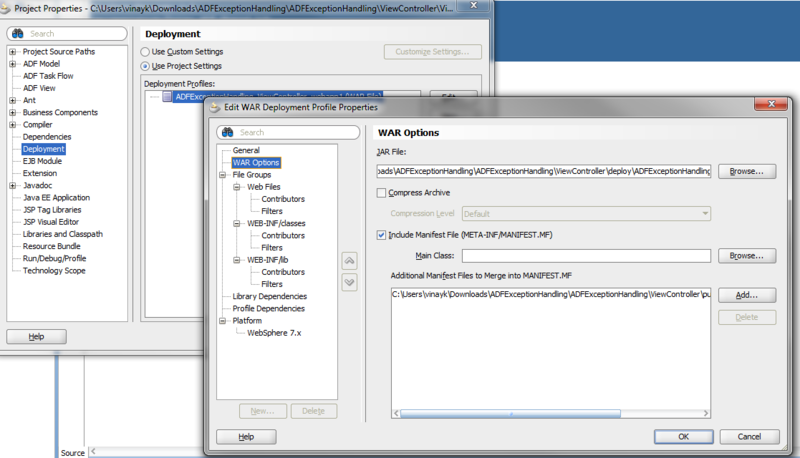 – We can directly deploy adf application as war shared lib in Weblogic. 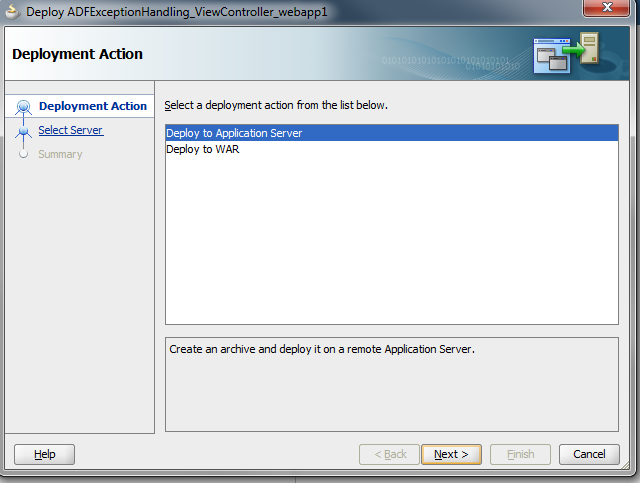 1) Create deployment profile as war file. 3) Edit war deployment profile and add MANIFEST.MF in war options. 4) Deploy ADF taskflow to weblogic(assuming you have made connection with weblogic in jdeveloper) to specific managed server or admin server. 5) mark option as deploy as shared library instead of application. Note: If you deploying shared library again, make sure, you increase implementation version every time to specify version no. Solution – Make sure name is name is correct. There is proper spacing after colon in manifest file content. Solution- Make sure you have same implementation version and specification version of shared library, If there is mismatch you will get this error. 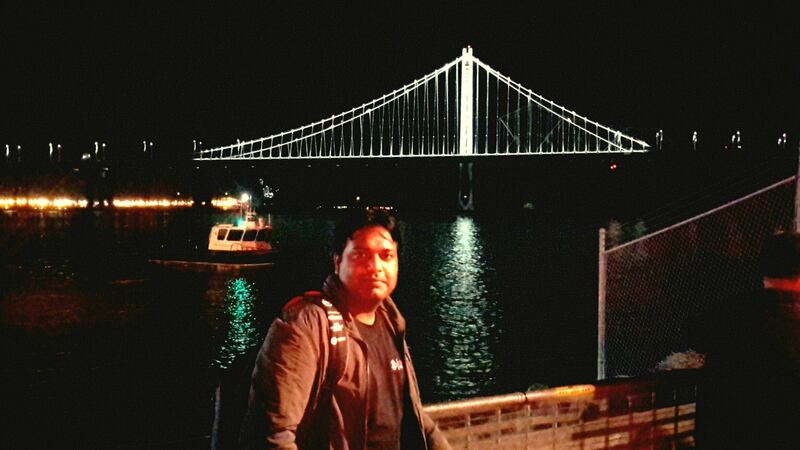 Till then happy deployment in Weblogic with Vinay…..
Oracle open world 2014 went few days back.It held in 28 September to 3rd October 2014. OpenWorld 2014 was dominated by jet lag. Apart from jet lag, main focus on this OOW is cloud. 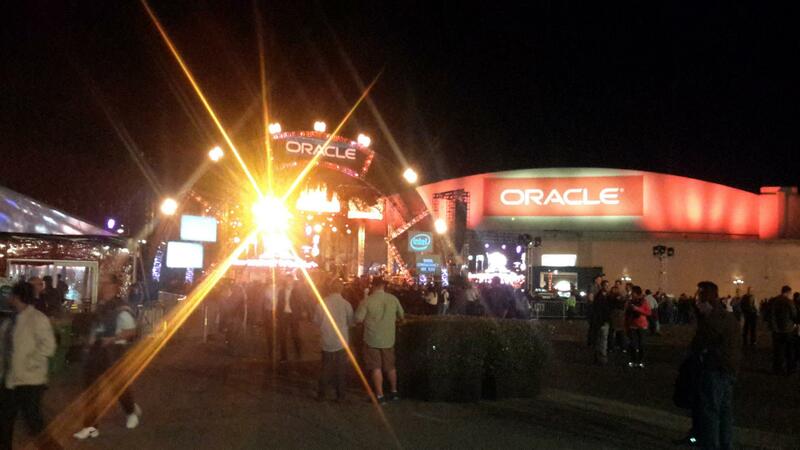 Every one talking about the cloud.Talking about updates from OOW.I will more focus on OOW on ADF/webcenter side. – Alexi Lopes on ADF essential tips and tricks. 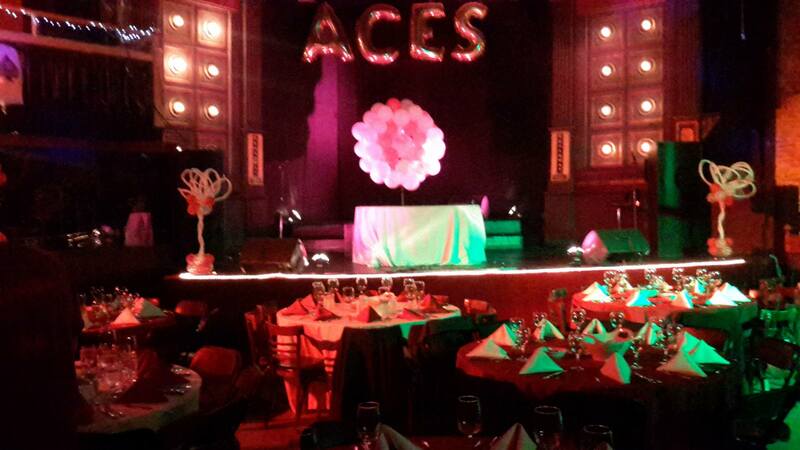 – In the evening , I attended Oracle ACE dinner with several ACEs and ACE director.It was really amazing to meeting some awesome people. 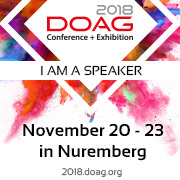 – Developing Applications with the Core Oracle ADF Stack by Peter Koletzke. – Visited booths of various companies in exhibition hall. – ADF EMG developer meeting .Met with many ADF developer.Enjoyed..
Its an great event to meet oracle champs in ADF/webcenter/SOA.As usual, it was fun to catch up with the members of my Oracle developer community, my ODTUG buddies and fellow ACEs. Cloud was definitely the hot topic on everyone’s mind this year, especially because Oracle announced their upcoming Oracle Mobile Cloud Services and released their Oracle Developer Cloud Service to production a few weeks before the conference. The most interesting topic for me was the upcoming Oracle Mobile Cloud Service. This solution includes everything a development team will need to build mobile backends from any datasource or enterprise system. The Mobile Cloud Service can insulate Mobile Developers from complex infrastructure while allowing them to focus on creating killer apps. 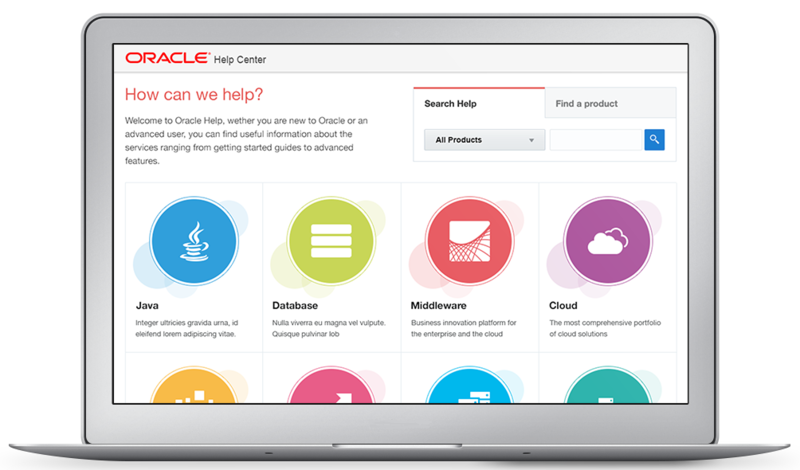 Oracle Mobile Cloud Service provides built-ins for push notifications, object storage, user management, analytics and an API designer and catalog. Even with all this cool technology, I think the highlight for me had to be the ADF EMG / MAF / Oracle Forms developers meet-up on Tuesday night sponsored by ODTUG.There were attendees from all over the world and it was amazing to see many new faces . 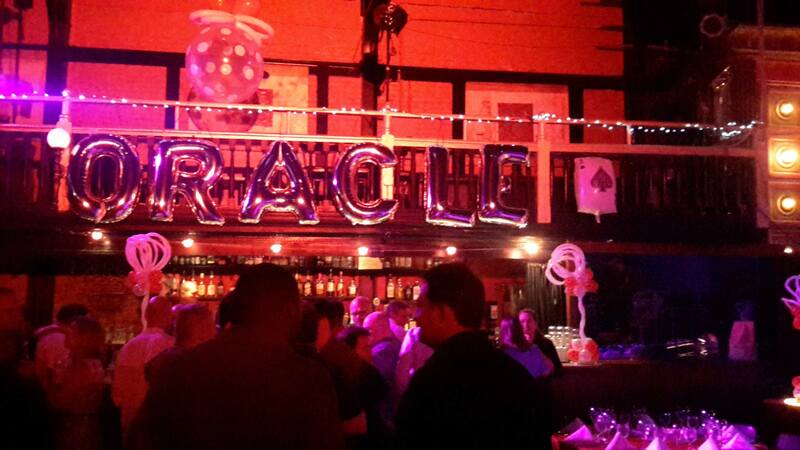 I’d like to give big THANK YOU to the Oracle ACE program for ACE dinner.I hope everyone enjoyed as much I did.Hopefully I can attend next year too. ADF- New version can come mid of next year with some more amazing features. This year they launch new Alta UI.Saw demo with product team.Look really good. Webcenter Portal – Real support for Webcenter content folders. No big update as , I was expecting.New version can expect next year with more responsiveness in Webcenter portal with really amazing new features. 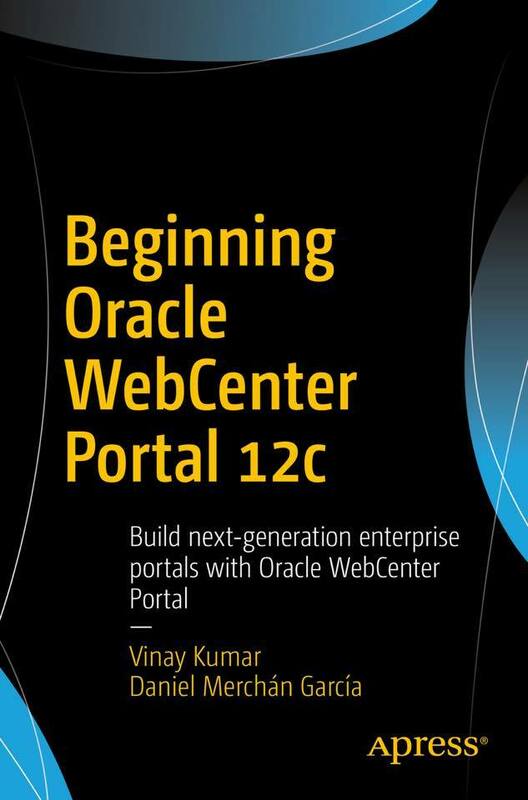 Webcenter content– Oracle Documents Cloud Service is the future.